1-on-1s get an overhaul! 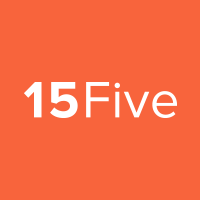 Here at 15Five, we have been working to make our 1-on-1 feature more intuitive, less cluttered, and more in line with the tasks you are already performing. For details on what we changed regarding 1-on-1s, keep reading. For more information on our 1-on-1s feature as a whole, click here. We've streamlined adding 15Five answers to your 1-on-1 agenda and consolidated these items into your 'Talking points' section. Using your 'Add to 1-on-1 agenda' option as usual, give the answer a "Talking Point" title. This title will appear on your 1-on-1 agenda under the 'Talking points' section. Need to rename a talking point? No worries. You can rename these directly from your 15Five Check-in, or via the 1-on-1 itself. These renamed talking points are expandable from your 1-on-1 agenda. Click the arrow next to 'Answer' and your original 15Five answer, objective, etc will appear in full. Happy talking! For more information on adding items to your 1-on-1 agenda, see this article. Before this update, unchecked talking points would simply not appear on your next 1-on-1. Now, unchecked talking points will carry over to your next 1-on-1 agenda without any intervention! These unchecked items will appear in the 'Talking points' section again. Checked off/discussed talking points will still disappear from the following 1-on-1 agenda, as they have been talked about and checked off the list. This behavior remains the same. Before and/or during your 1-on-1s, you can now determine who's responsible for the action items on your agenda. These tasks will appear in the 1-on-1 email summary (including the task owner's name) and will also appear in the 'To-dos' section of the owner's Profile page. To ensure nothing gets missed from your past 1-on-1s, we've separated out any unchecked actions items into a new "Previous action items" section. Now, you can easily track past action items that are incomplete, while still working on current action items. To view your current 1-on-1s, click here. Navigating 1-on-1s with your manager, your team, and any previous team members is now much clearer. View all 1-on-1s at a glance from the "My 1-on-1s" page. Click on an individual person to view your draft and past 1-on-1s and also to create a new 1-on-1 agenda with them.